LUBRITA Europe B.V. announced new small packages design and we are ready for shipments. 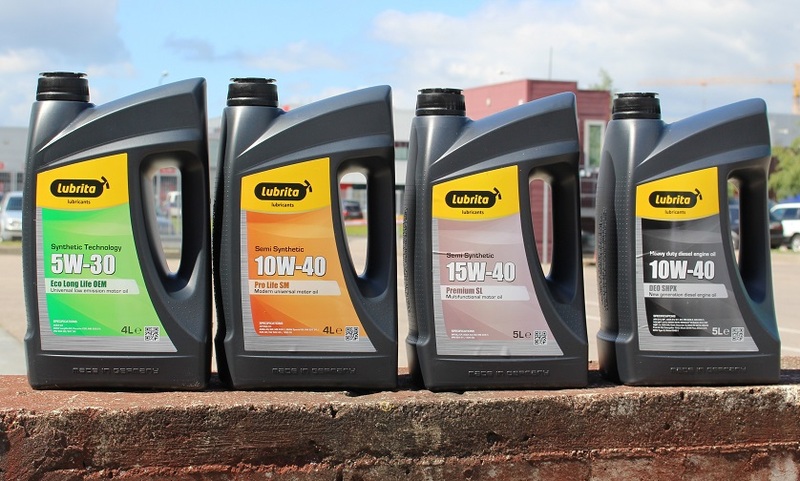 LUBRITA automotive and industrial oils will be delivered in new shape! We are happy introduce to our existing and potential Distributors new packaging for LUBRITA oils. New LUBRITA packages available in: 1L, 4L, 5L, 20L. Others - remain the same for LUBRITA drums 208L and 1000L IBC'ies containers. LUBRITA High Efficiency lubricating products distributed more as in 30 countries worldwide. High quality oils, lubricants and greases, automotive and industrial cleaners, chemicals and special petroleum additives fully sutisfy different market requirements and local needs. If Your company interested for more information, please contact our team! We are glad to support our customers!